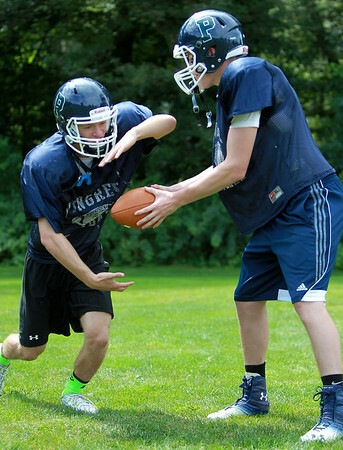 Pingree senior captain and running back Sal Fazio, left, takes a handoff from junior quarterback Griffin Beal. DAVID LE/Staff photo. 8/21/14.